Here they are: my favourite 25 songs for 2004. It was actually a pretty stellar year for music and my top 10 for 2004 is easily my favourite out of any year in the '00s. Later this month, it's the 100th anniversary of the assassination of Archduke Franz Ferdinand - the event that led to the outbreak of World War I in 1914. And it's 10 years since the Scottish rock band named after the heir to the Austro-Hungarian throne blasted onto the scene with this critically beloved track. Among its many achievements, "Take Me Out" was voted number 1 on the Triple J Hottest 100 for the year - and is far and away my favourite song to ever top that list. What's this? Two back-to-back rock tracks on my chart? Yep, as well as pop and dance having a particularly strong year, I also enjoyed a handful of rock tracks - a sign of things to come in the next few years. Granted, this second single from American Idiot wasn't the typical thrashy pop/punk song you'd expect from Green Day, but instead a more subdued rock ballad that went on to win the Grammy Award for Record Of The Year. It remains the only Green Day song I've ever liked. Right, back to something more my usual style, and the underrated Norwegian synthpop act Pleasure, who released one of my favourite albums of 2004 with their self-titled debut. But, in keeping with the indie and rock leanings of this batch of songs so far, this single from Pleasure came with guest vocals by former Elastica frontwoman Justine Frischmann. Some out-and-out dance music now from the Scottish DJ, producer and member of house duo Full Intention - a guy who clearly knew that the line "I can't wait for the weekend to begin" was going to appeal to clubbers the world over. Vocals on this track were provided by regular house singer Shèna, who'd sung on most of JX's '90s hits and also popped up a couple of years later on Junior Jack's remix of "Stupidisco", which we saw back in Part 3. That didn't last long. It's back to rock music now, although this Finnish band have a typically Scandinavian pop sensibility about them - or at least they did on their fifth album, Dead Letters, which saw them break out internationally thanks to songs like this and "Guilty" (number 53 on this list). They've had many other hit singles and albums back home that I've never got around to exploring so who knows what other pop gems are still to be discovered? Prior to 2004, I'd never been able to watch American Idol, but the third season aired in Australia - and what a season it was! From the shock elimination of Jennifer Hudson in seventh place (beating Cosima De Vito's withdrawal from Australian Idol to become the most shocking reality show results show ever) to some superb performances by eventual winner Fantasia Barrino, it was unmissable event TV. When Fantasia was thankfully crowned victor, the biggest shock of all was that her winner's single, "I Believe", was a really good song, instead of the forgettable ballads Will Young, Kelly Clarkson and Guy Sebastian had been handed. However, while all three of those other winners went on to release much better songs, this was as good as it got for Fantasia. I even bought her first two albums only to be severely disappointed at the lack of hits. These days, although chart success continues to elude Fantasia, she's quite at home on Broadway. In fact, just before sitting down to write this, I watched her perform with fellow After Midnight guest stars Patti LaBelle and Gladys Knight at this year's Tony Awards. Not bad company. A decade ago, Pharrell Williams wasn't quite as hot as he's been this past year, but he was still very much in demand. In between his production duties as part of The Neptunes (which, in 2004, included working on tracks by Gwen Stefani, Kelis and Nelly) and his guest appearances on other artists' songs (such as on Snoop Dogg's "Drop It Like It's Hot"), there was the second album by N*E*R*D, his genre-defying group with Shay Haley and Neptunes partner Chad Hugo. I hadn't really been a fan of N*E*R*D's first release, In Search Of..., but it was a different story with Fly Or Die, which featured this lead single and follow-up "Maybe" (number 34 on this list). He may not have looked like the rock star he does today, but there was one element of being a rock frontman that Adam Levine had down pat from the start - and that was dating and appearing with models in music videos. His co-star in "This Love" was his then-girlfriend Kelly McKee, the first of a number of glamorous ladies we'd see him with both musically and otherwise over the years to come. UK soul singer Beverley Knight added a bit of rock into the mix with this storming lead single from the excellent Affirmation album, which she co-wrote with Robbie Williams' sometime musical partner, Guy Chambers. It worked a treat, with "Come As You Are" becoming her highest-charting UK single (at number 9), although follow-up "Not Too Late For Love" (number 56 on this list) didn't keep that momentum going, missing the UK top 30. Named after the band depicted in New Order's "Crystal" music video, electronic rock band The Killers' retro influences were clear from the outset. Leading a new wave of New Wave-inspired acts, the Las Vegas band were especially big in the UK and Australia, where their Hot Fuss album reached number 1. 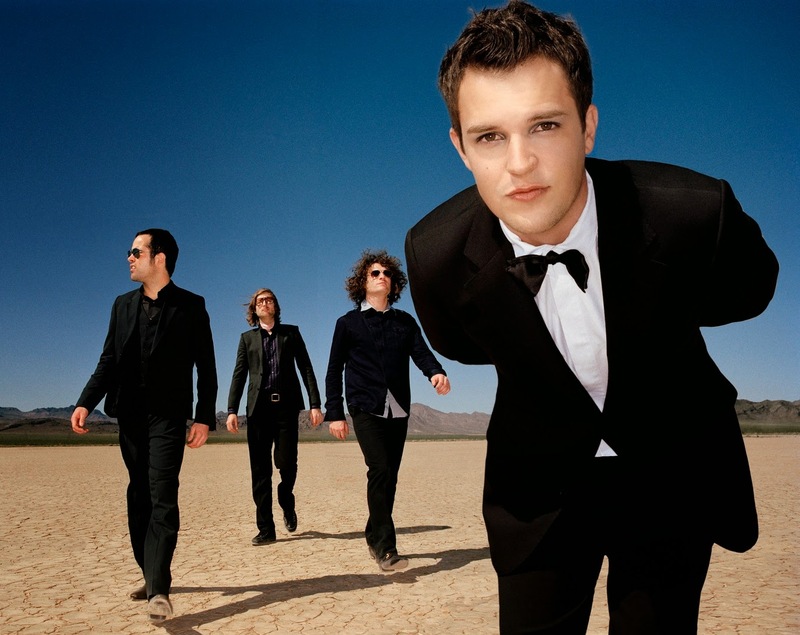 It took a while for both of the band's first two singles, "Mr Brightside" (number 18 on this list) and "Somebody Told Me", to reach their full potential with re-releases required in different countries for them to finally take hold. Here's another American band that found a more receptive audience in the UK - even more so in this case, with Scissor Sisters' '70s-era Elton John meets Rocky Horror Show sound unable to fit into the neat pigeonholes American radio stations like their music. This synth-laden cover of the Pink Floyd track was the single that really broke through for the band led by the flamboyant Jake Shears, but by year's end they'd also scored with "Take Your Mama" (number 54 on this list), "Laura" (number 93) and "Mary" (number 184). If Kelly Clarkson had been a promising ex-reality show winner in 2003, then in 2004 she turned into a bona fide music star - and it was all thanks to this Max Martin and Dr Luke track, which added a bit of a rock edge to the Swedish pop maestro's pure pop sound. With its in-your-face attitude and fist-in-the-air anthem status, it redefined power pop - and ensured Kelly's career surged to the next level. Back in Part 3, we saw dance versions of '80s hits by Steve Winwood and The Pointer Sisters, and now here's a '00s revamp of Hall & Oates' "Out Of Touch" (which features prominently on my top 100 for 1984) by pop/dance duo Paul Keenan and Daz Simpson, the latter of whom had been behind some fairly cheesy remakes in the late '90s as Bus Stop. Next, Swedish pop combo Alcazar also turned their attention to the '80s (after sampling '70s hits by Chic and Sheila B & Devotion on their previous album) - and incorporated elements of "Land Of Confusion" by Genesis and Diana Ross' "Upside Down" for this single. "This Is The World We Live In" was one of six tracks released from second album Alcazarized (although it hadn't featured on the original Swedish tracklisting), but was the only one to see the light of day in Australia. They'd released some of the best dance records of the previous half a decade, but Basement Jaxx really outdid themselves with this second single from the Kish Kash album. Disappointingly, it wasn't their biggest hit - in Australia, that honour belongs to "Where's Your Head", while in the UK, it didn't even crack the top 10. Eschewing her rock background for pop, synthpop and R&B was a move I wouldn't have expected from No Doubt vocalist Gwen Stefani - and one that the US was initially reluctant to accept, with this Australian and UK number 1 only managing a chart peak of number 47 in America. "What You Waiting For?" was a brilliant repositioning for Gwen and one of several potential big hits from the Love Angel Music Baby album - pity she didn't end up releasing them all. I remember going over to the BMG offices to hear a sneak preview of Britney's In The Zone album in late 2003 and, although I'd been completely underwhelmed by her Madonna duet, "Me Against The Music", I had hope for the album when this track was played. Co-written by Cathy Dennis, "Toxic" was a hit waiting to happen - and it put Britney back at the forefront of pop's biggest stars. It's unlikely whether the follow-up, bland ballad "Everytime" (which ranks on this list at number 84 thanks to the Hi-Bias remix), would have been anywhere near as big a hit had it not come hot on the heels of this monster. Although the classic Le Bon, Rhodes, Taylor x 3 line-up had existed for only a fraction of the time Duran Duran had actually been around, it was the version of the band most people remember and was responsible for their best known singles. So, when the three Taylors rejoined Simon and Nick for the release of a new album, it was a major event. In the UK, Astronaut became Duran Duran's highest-charting album since 1983's Seven And The Ragged Tiger, while this lead single reached higher than any single since 1985's "A View To A Kill". My favourite part of the whole reunion was a launch the band held in Sydney, during which a friend of mine and I notched up photos with all five members amid a sea of middle-aged women reverting to giggling schoolgirls. Like many a great dance track, "Lola's Theme" started out as an instrumental. Originally using a direct sample of the intro to "What About My Love" by Johnnie Taylor, the track was completely re-recorded and a vocal added to create this club classic. Comprised of Simon Marlin and Max Reich, Shapeshifters have never been able to better this single, despite a steady stream of releases ever since. 36 CAN’T SAY GOODBYE Pop! That's it for 2004. Tomorrow, we'll return to 1989 for my weekly look back at the ARIA charts from 25 years ago - and I'm already on the case readying my 2005 countdown.